Michigan’s newly elected governor, Democrat Gretchen Whitmer, is coming under fire for recent appointments to her transition team—namely Dan Loepp, CEO of Blue Cross Blue Shield (BCBS) of Michigan. Whitmer’s previous connections to BCBS have led to accusations that she’s playing into the hand of corporate interests. During her campaign, BCBS sent a letter to its employees encouraging donations to their PAC in support of Whitmer. 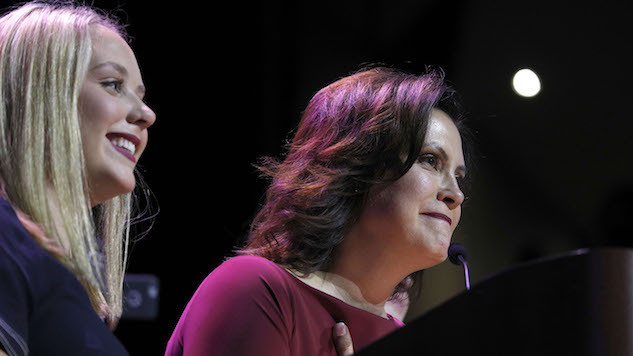 Further, the insurance giant also raised more cash for Whitmer at a single fundraising event than it had for any other candidate in the past decade, per the Detroit Metro Times, and has raised three times as much money from individual donors as it did from the PAC. However, the connections don’t end there—Whitmer’s father was the former CEO of BCBS, directly succeeded by Loepp. The connections are overwhelming. Loepp isn’t exactly the everyday Michigander, stressing personal access to “affordable health care,” however, as he brought in a whopping $13 million salary last year, his highest thus far, making him one of the highest paid nonprofit executives in the state. This exact concern was one of the biggest criticisms leveled against Whitmer during the election, and citizens are now worried that her policies will benefit the major insurance companies rather than the patients they are meant to serve.